Capt Lou Rudd, 49, finished the solo 921-mile (1,482km) journey at 19:21 GMT on Friday after 56 days. He was just two days behind the American explorer Colin O’Brady, who became the first person to complete the feat on Wednesday. Capt Rudd, from Hereford, said it was a “minor miracle” both had done it and he was delighted. He said he did the trek in memory of his friend, explorer Henry Worsley, who died in 2016 attempting the trek. Capt Rudd added: “What matters most to me is that I’ve completed my expedition and honoured Henry’s memory by carrying his family crest across Antarctica. Capt Rudd and Mr O’Brady, 33, both set out from the Ronne Ice Shelf on 3 November after poor weather delayed their start. 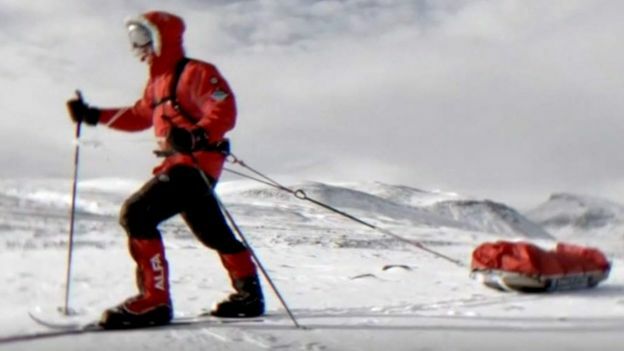 The trek saw Capt Rudd haul a 140kg (308lb) sled without a rest day and endure gales up to 60mph and temperatures of minus 30C. 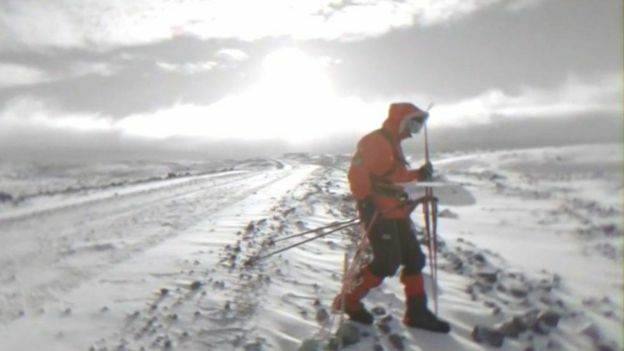 The father of three documented his “Spirit of Endurance” expedition in blog posts where he said things that helped him through included a Winston Churchill audio book, an 1980s music playlist and a “grazing bag” including chocolate, nuts, cheese and salami. Capt Rudd, a motor transport officer based at the Infantry Battle School in Brecon, Mid Wales, said he had completed his main objective of “skiing solo, unsupported and unassisted right across the continent”. 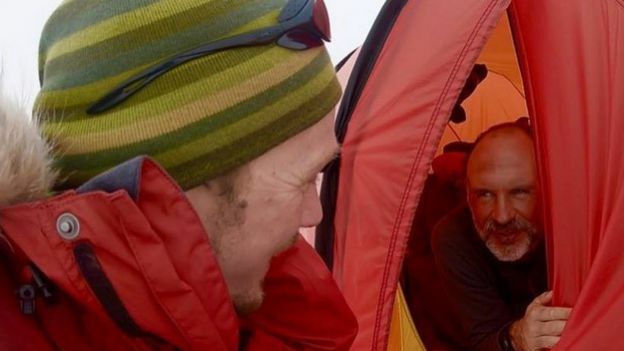 He said it was “absolutely fantastic” that both he had completed the journey in the same season as endurance athlete Mr O’Brady. “To be honest it’s a minor miracle that both of us have completed a journey that’s been attempted before, but nobody’s ever managed it and then, lo and behold, in one season two of us attempting it,” he added. Capt Rudd said he decided early in the journey not to try and race Mr O’Brady, who he only met days before they set off at a hotel bar in Chile. “The minute you get drawn into a sort of race scenario, then everything you do is dictated by the other person and you have to react to [it] and it changes the whole nature of the expedition, so you put yourself under a lot of pressure,” he said.